Your marriage has crumbled, all you do is fight, moving out of your shared home may seem like the most natural idea in the world. It minimizes stress, conflict, and aggravation for you, your spouse, and your kids. By the time you get to the point of ending your marriage, most couples already live apart anyway. Finding a new place is a no-brainer, right? Wrong. 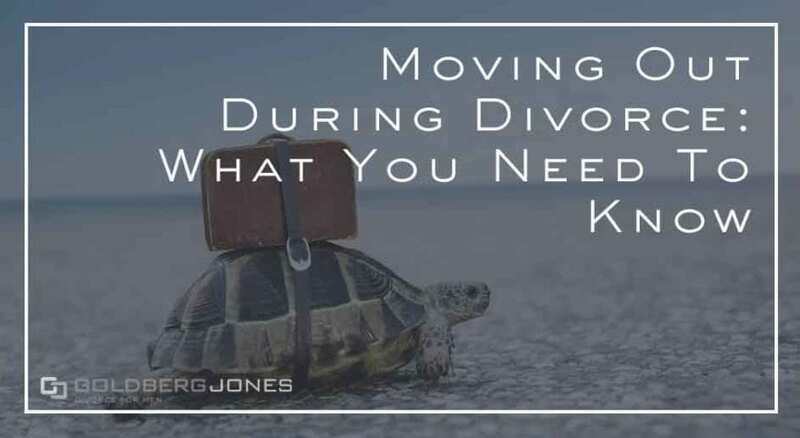 Turns out, moving out of a shared home often has a negative impact on your divorce in a number of ways. It’s not a decision to make hastily. You may feel like you need to leave, need to get out. But if you do, it’s important to know the impact this decision can have. There are consequences you need to be aware of. One of the biggest impacts moving out of a shared home has is on your relationship with your kids. Living somewhere else means you don’t see them as much. Not only does that affect your parental bond, it can actually damage your custody claims down the road. Things are often tense and home. Kids pick up on this. No one wants to fight in front of their children. You may think moving out will help alleviate that issue. And in the short run, you may be right. But in the long run, your visitation in the future may take a hit. If you don’t spend much time with them now, that may continue later on. Courts prefer to minimize drastic changes for kids after divorce, this includes drastically altering parenting time. If you do move out, have a parenting plan already in place. This ensures you still get your time with the kids. Protect your parenting time by taking advantage of what you have. See them when you have the chance and make them the priority. Maintain an active part of their lives and their upbringing. This demonstrates the desire to be a parent, which courts take into account. The more involved you stay in their day-to-day activities, the more likely that is to continue after divorce. In addition to child custody issues, moving out can also mess with your finances in multiple ways. A home is usually the biggest purchase most people make in their lifetimes. As such, when it comes to the division of property, it’s often the most significant asset on the table. Moving out of a property with your name on it may damage your claim to it later on. In the meantime, you may be obligated to continue paying bills during divorce, even when you no longer live there. This can even lead to larger spousal support payments. Moving out can also set other financially unsustainable precedents. When you establish two separate households, the court may assume the ongoing support of both is reasonable. So what started off as a temporary solution often becomes permanent. This can put a strain on your finances long term. and various other financial records. Don’t move out without them. And though so much is done online, paper statements and documents may still come to your home. Take steps to make sure you maintain access to this sort of thing. Taking them with you also provides you a little comfort that your items aren’t being ‘accidentally’ lost or ‘inadvertently’ set ablaze while you’re away. Every situation is different. But in general, unless a court order specifically commands you to vacate, we don’t recommend moving out. If you do ultimately move out, it benefits you to have a strategy already in place.